The ancestors of Frank Jung established the Reutters company in 1906, so it’s even a quart of a century older as Porsche, which was established in 1931. From the early years the Stuttgart based Reutters company did bodywork for cars. So it’s rather obvious that Ferdinand Porsche decided to ask Reutters to build the bodies for his projects. Porsche had a contract with Wanderer to design and develop engines, and this is where the later well known Karl Rabe comes in the picture in the Porsche story. Wanderer wanted the Reutter to make the bodywork for Typ 7 in different forms like the 4 and 6 window version, the cabriolet and so on. When you know how a Porsche looks like today, it’s hard to believe the limousines Wanderer made, are in fact real Porsches. 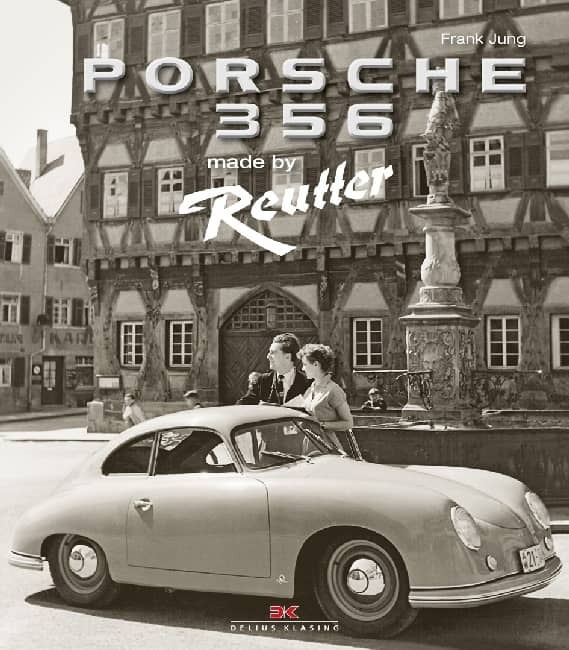 Anway, the cooperation between Porsche and Reutters continued, with ofcourse the bodywork of the Porsche 356 as one of the highligts. Frank Jung, as previously told, derives from the Reutters family, so when writing this book, he had unlimited access to the huge family archives, and ofcourse lots of help came from the Porsche Archives too. Besides digging in archives and putting a giant jigsaw together, he talked to former employees of both Reutters and Porsche, and other people who witnessed the cooperation of the 2 companies , whatever there relationship was to any of the companies. By reading this book, you can really explore the full details of the Porsche , made by Reutter, from the planning till production and delivery. There are many previously unpublished documents, pictures and stories in the book. In my opinion this is one of the better books on the history of Porsche. It’s not a book just for it’s pictures, even though they’re gorgeous, but you really learn something from the early history of the Reutters and Porsche companies till the birht of the legendary Porsche 911.